For this ongoing series of work, I combine popular algorithms with traditional romance novels. After scanning all of the covers, I apply Photoshop’s Photomerge feature (originally intended to stitch together photos to make panoramas) to the images to produce dreamy, hybrid landscapes. Because the covers are so similar, the algorithm often finds areas that it believes should overlap. 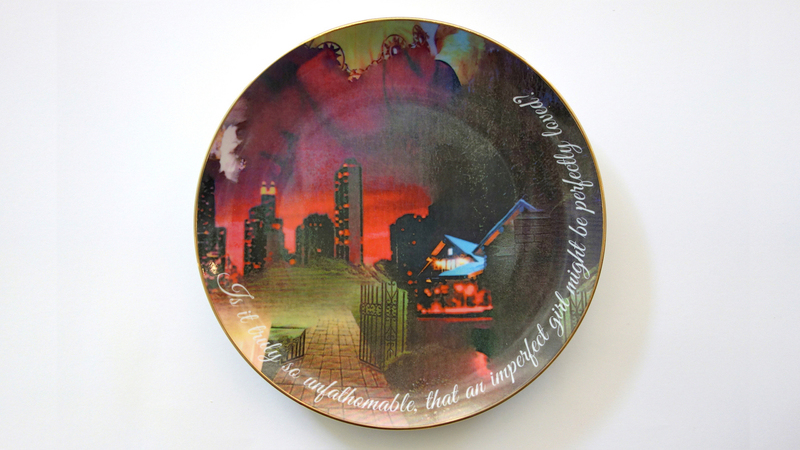 I print these landscapes on porcelain commemorative plates. Each plate also features a Popular Highlight from a romance novel on Kindle. 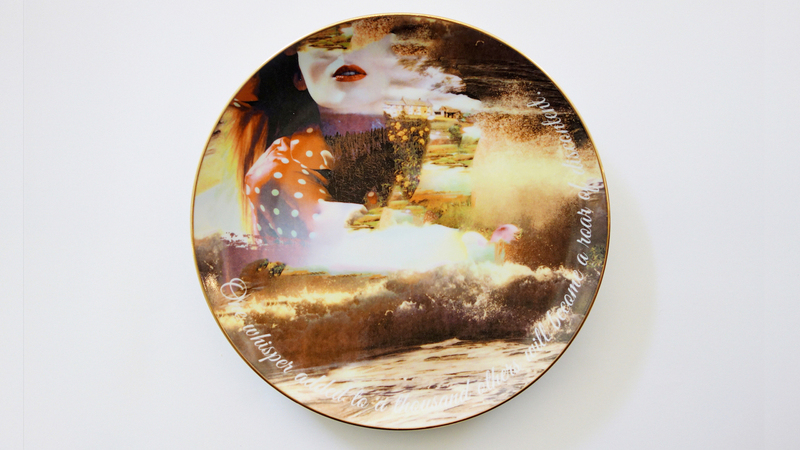 Media: Porcelain plate, romance novels, Photoshop’s Photomerge feature, Kindle Popular Highlights.